Container box style - Adjust .thz-exit-popup-box box style. 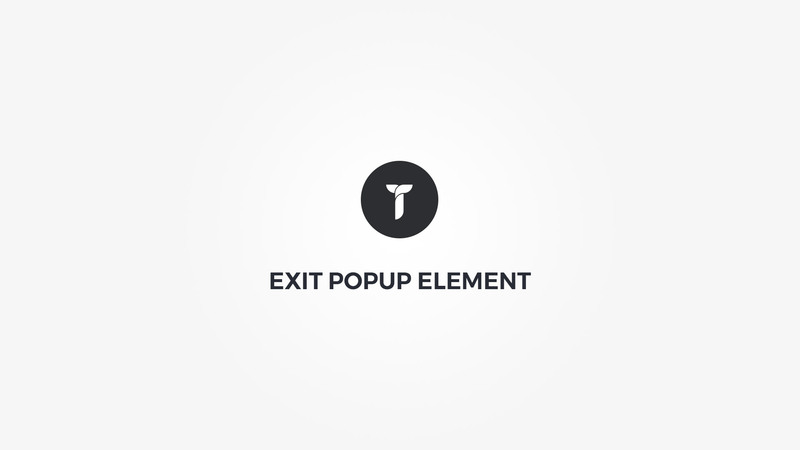 Modal Content - Add exit popup content. Modal size - Select modal dialog size. Modal effect - Select modal window opening effect. Close button colors - Adjust close button colors. Cookie expire - Set popup cookie expiration in days. Cookie is set when user closes the popup. Once the cookie is set this popup will not be visible for the user untill the cookie expires. Set to 0 if you always want to show this popup on page exit. Note that popup is shown only once per page load.